Do you have PCOS? Take our FREE quiz to find out. 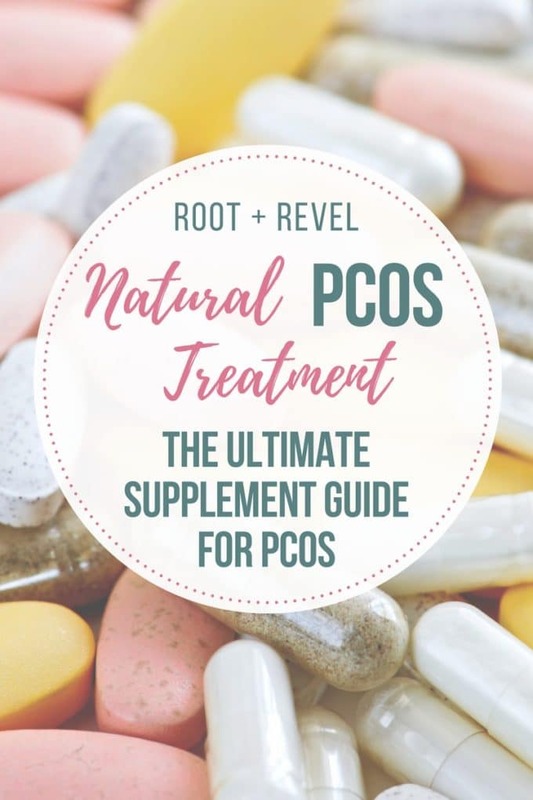 But don’t worry–we’ve got all the details on natural PCOS treatments in this ultimate guide to supplements for PCOS. PCOS is 100% reversible through natural means (no medication required!) and you can live a symptom-free life! 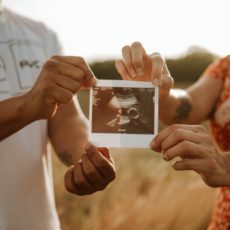 I remember it like it was yesterday–my period still hadn’t come (I’d gotten off The Pill 2 months prior), I’d gained 12 pounds for no reason, my face was completely broken out with dozens of pimples all over my cheeks and chin (something that had never happened before), I was so very tired and exhausted, anxious and just a mess. I made an appointment with my gynecologist, telling her about everything that had happened since I stopped taking hormonal birth control, asking her what she thought might be causing all these issues, reminding her my mother has PCOS and wondering if she thought I might, too. “Nahh, you’re just getting older. As we age, we just have to eat less and exercise more,” she told me. “But I’m only 27 years old. I workout almost every day and I eat pretty healthy. This doesn’t seem right,” I pleaded. What exactly would that do, I wondered. I was getting flustered and begged her to just do a quick blood test to see if it would show anything. She handed me a copy of my blood work and sent me on my way. I felt so defeated. I knew this couldn’t be right. Something was wrong in my body. So I came home and started Googling. I started with TSH, thyroid stimulating hormone. Mine was 3.57. What this meant, I had no idea. But after some cursory research, it became clear. How could I, a complete layman who has no medical education, figure this out in a couple Google searches, and my trained doctor couldn’t? How could she tell me that with my symptoms, my lab results, my family history, that the only solution was just to go back on the Pill? It was then and there that I realized that if I want to feel better, I have to take my health into my own hands. I have to be my own advocate, do my own research, find doctors who will listen to me and work with me to find the root cause, not just slap a prescription slip in my hand as a bandaid. And so, I found a holistic MD (read more on her here! ), who ran a much more comprehensive hormone panel, talked with me for over an hour about my symptoms, lifestyle, family history and diet, and ultimately diagnosed me with PCOS (and hypothyroidism and leaky gut, but that’s for another story). In addition to cleaning up my diet (learn more on that here), she recommended a few natural supplements I could take to balance my hormone levels and, for lack of a better term, cure my PCOS. True, PCOS is technically not “curable”, but you can reverse the symptoms and essentially be in remission from the syndrome. And that’s what I was going to do. I’ll be honest, it took some time. There was a lot of trial and error, a lot of testing and figuring out what was working for me and what wasn’t, and just when I’d make some progress, my period would show up late or I’d break out again or my anxiety would flare up. But that’s life–I learned to celebrate progress, not perfection. I learned to accept that my body is MY body, it’s unique and special and just because it doesn’t operate/look like the “standard”, doesn’t mean I’m not healthy. I now live a near symptom-free life, with regular periods every 31-32 days, clear skin, a calmer mind, a healthy weight, balanced blood sugar, healthy energy and vitality and I feel great. So how did I do it? What were the natural PCOS treatments that worked for me? Ok, quick side note, before we get into the supplements. Some of you may be wondering: what the heck is PCOS? PCOS, which stands for Polycystic Ovarian Syndrome, is one of the most common hormonal endocrine disorders in women. Symptoms may include irregular periods, acne, PMS, weight gain (particularly around the midsection), hair loss AND hair growth in strange places (like your chin, upper lip, or sideburns), string of pearl type cysts on your ovaries, extremes PMS symptoms and cramping, insulin resistance and/or Type 2 diabetes, headaches, sleep apnea and, often times, infertility. PCOS manifests itself differently in every single woman–it’s truly not a one-size-fits-all diagnosis–for example, I personally had no cysts but horrible acne. Meanwhile, one of my best friends also had PCOS but had flawless skin and lots of cysts that caused fertility issues. This is part of why I believe PCOS to be so misdiagnosed–if you’re interested in learning more about PCOS, I highly recommend the book 8 Steps to Reverse Your PCOS: A Proven Program to Reset Your Hormones, Repair Your Metabolism, and Restore Your Fertility. One way to test for PCOS is to get your blood work done. Dr. Gottfried has an amazing hormone lab resource for optimal reference ranges. Another way to know if you have PCOS is by analyzing your symptoms. 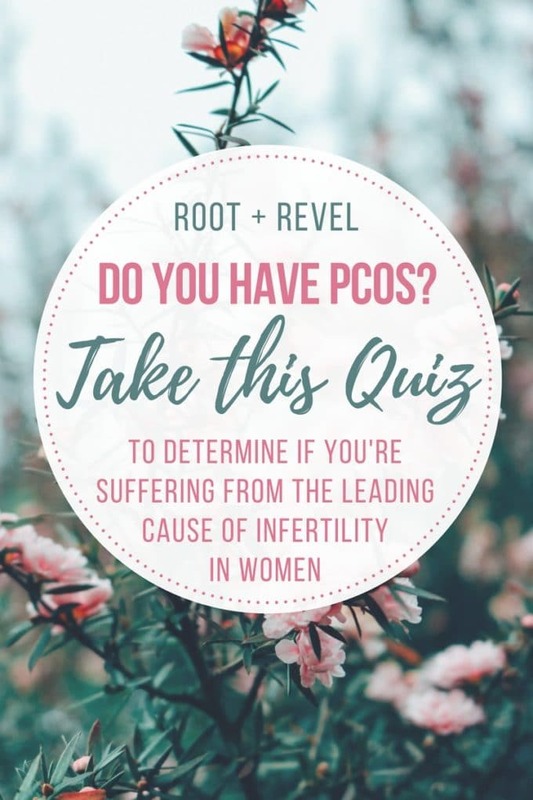 Take our FREE quiz to see if you might have PCOS. Evening Primrose Oil: Likewise, if you have low progesterone, another supplement that can help is Evening Primrose Oil, which is an essential fatty acid also known as gamma-linolenic acid (GLA) that supports overall hormonal function and minimizes PMS symptoms, like breast tenderness, bloating, water retention, acne, depression, irritability, foggy thinking, cramps and headaches. I recommend Jarrow Formulas Evening Primrose Oil. DIM: Another great PCOS supplement for women who struggle with estrogen dominance (high levels of estradiol, estrone and estriol) is EstroDim, which is compounded cruciferous vegetables (like broccoli and Brussels sprouts) that helps your liver detoxify excess estrogen. I recommend Smoky Mountain Naturals DIM. Inositol: Many women with PCOS also suffer from Insulin resistance, which is when your blood sugar (fasting glucose and insulin) levels are too high, putting you at a very high risk for developing Type 2 diabetes and causing irregular cycles and infertility. While many doctors will prescribe Metformin to treat this kind of PCOS, there are all kinds of scary and dangerous side effects that come with the prescription medication, so I prefer to go the natural route first. That’s why I recommend Inositol, a a vitamin-like substance found in fruits, beans, grains and nuts that helps detoxify your liver. 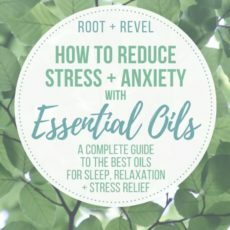 I personally tried a few different brands, but ended up having the most success with Ovasitol, a medical-grade supplement that combines myo-inositol and D-chiro-inositol in the body’s natural ratio of 40 to 1, improving insulin sensitivity, ovulation, and egg quality and restoring hormone balance, namely by decreasing male hormones in the bloodstream.It’s super helpful for promoting ovulation, so if you’re trying to get pregnant, talk to your doctor about adding inositol to your supplement regime. Vitamin B and D: The body is an interconnected machine, and when one area suffers, it affects another. In the case of PCOS, many women are deficient in Vitamin B (which can cause fatigue and constipation, and reduced progesterone levels) and Vitamin D (which can affect mood, bone density and your immune system). Instead of taking multiple supplements, I recommend finding a multivitamin with high levels of these nutrients. I love The Myers Way Multivitamin, which also contains lots of thyroid-nourishing nutrients (super important as many women with PCOS also have hypothyroidism). Magnesium: Did you know that most women are deficient in magnesium, which is vital for hormonal balance? Plus, magnesium improves insulin resistance, it’s anti-inflammatory, and it balances adrenal hormones, like cortisol (the stress hormone) and thyroid, all of which are key for managing PCOS symptoms and treating the root cause. What’s more? Taking magnesium at night will help you relax your muscles and sleep better, it also improves constipation. I recommend Metagenics Mag Glycinate. Maca: Maca root is an adaptogen and a member of the cruciferous family, like broccoli and cabbage, that’s considered a superfood due to its positive effect on hormone balance, energy levels, and health. In fact, Maca Root benefits include increased fertility in both men and women, hormone balance, boosted immune system, increased energy and stamina, and improved sexual function, memory, and focus (source). I recommend The Maca Team’s Red Maca powder, which is Certified Organic, fairly traded, GMO-free, fresh and potent, and raw. Studies show red maca to be the best maca for female fertility, libido and hormone balance, natural energy boosting, bone health and male prostate. Likewise, raw maca powder is better than gelatinized (meaning pre-cooked) because the enzymes and nutrients remain at their peak levels in the raw state. source I put maca in my butter coffee every morning. Probiotics: Not sure how your gut/microbiome affects your hormones? Get this: not only is your gut a key part of the elimination system that ushers hormones out of the body, especially excess estrogen, but your microbiome is also integral in regulating your hormones and optimizing our blood sugar levels. So I recommend taking a super high-quality probiotic every day (this one is my favorite), which can metabolize and recycle hormones in our body, reduce levels of cortisol in the body, keep excess estrogen out of circulation, promote optimal insulin levels, increase tryptophan (which helps with sleep), oxytocin (the “cuddle” hormone) and even vitamin D.
Please know that you should work with a qualified medical professional to determine a supplement regime that’s right for you. Not every supplement will work for everybody and even though supplements are natural, doesn’t mean they come without side effects. Talk to your doctor! And stay tuned, next we’re going to be covering a PCOS-friendly diet and meal plan full of healing foods like spearmint tea, cinnamon, apple cider vinegar, bone broth, nourishing teas, collagen and adaptogenic mushrooms. I really needed this article. The convo you had with your gyno sounds exactly like mine!!! Thank you! If you have an auto immune disease, I would stay away from Maca root- it is a nightshade. I second the iodine comment. If you are iodine deficient, none of these will help you long-term. Thanks for your feedback, I’ll look into it! Very well covered in details. A lot of cysters tend to spend a lot of money buying the wrong supplements because they lack the right information. Thank you! Yes, I’ve definitely been there! Hi, just came across this article. It was very informative!! Quick question, were you using all of these 8 supplements at once or were you cycling them in sets and combinations? Hi, Neela: No, I wasn’t using everything at once. I was working with my doctor and my blood work to address needs as they arose and that were most relevant to my symptoms. But at some point I did use all of these supplements, just not all at once. I recommend working with a functional medicine practitioner to get the right supplements for your specific needs. Hi. I have been recently diagnosed with PCOS. I’m looking for a healthier alternative to treat my pcos other than birth control. Are all of these supplements supposed to be taken together? I had lab test done like you but I do not have my results to determine levels. I ws told that my levels were normal including my thyroid. Would it still be safe for me to take these supplements without knowing? I’m excited to learn if this can help me. I am so glad I’ve stumbled upon your blog. I’m a PCOS thriver too! I love the list you’ve made: several products have helped me along my PCOS journey. I currently still take Vitex: it’s an excellent period stabilizer I find, especially for women who report having their periods only once or twice a year. I also take vitamin D: I’m dark-skinned and had learned the benefits of Vitamin D in a course on Immunology at University, well before I was diagnosed with PCOS: its benefits go well beyond the ”osteoporosis prevention.” Like you’ve mentioned, it can boost one’s immune system which is amazing, especially for people suffering for auto-immune diseases such as Lupus or Multiple Sclerosis. It’s odd that I rarely ever see suggestions on adding iodine to diets for healing with PCOS. I’ve had cysts on my ovaries since my 20’s. Ever since the nuclear melt down in Japan with the radiation spreading to the US, we took kelp to help our thyroid not absorb any if it came our way. 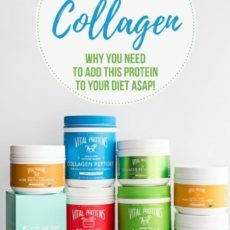 From then on, I realized I no longer had the pain from the cysts, it was at the same time I cleaned up my diet and my cyst type acne disappeared. Iodine is very important for the funciton of our thyroid, breast and ovarian health (men’s testes too). Flouride, Chloride and Bromide all get into our endocrine system and blocks the absorbtion of iodine. It takes high amounts of iodine to actually flush the junk out so you are actually absorbing the iodine you are taking. A great book is Dr, Brownstein Iodine why we need it, why we can’t live without it. So interesting, Karin. Thank you for sharing your experience! I have Pcos and Hashimoto. I take a lot of the same supplements although not consistent on probiotics. Do you know if it’s possible to regrow hair ? Mine has thinned a lot since I was undiagnosed for many many years! What an interesting read! I’m not familiar with PCOS so it’s great to become educated on the symptoms. I’m sure this will help many people!